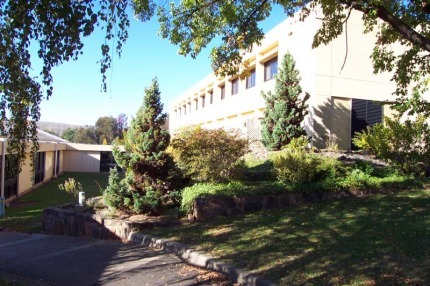 Cooma has a modern well equipped hospital. It has a 30 bed ward that covers pediatrics and medical and surgical patients. We also have an eight bed Maternity unit. We have a 24 hour A&E department run by GP/VMOs and covered two nights a week by CMOs from out of town which reduces our nights on call. There are a number of visiting surgeons who provide orthopedic, general surgical and gynecology services and two visiting gastroenterologists who provide gastroscopy and colonoscopy services. The hospital is well equipped with a spiral CT scanner in the hospital that can be accessed 24 hours via a teleradiology link for fast reports. We have in-hours ultrasounds and 24 hour X-rays. Even the A&E department has an USS machine for use by the A&E doctors. We have a hospital pathology lab in-hours and on call after hours for most pathology needs. It's great working in a well resourced hospital, that avoids bed block and allows you to get on with the medicine rather than wither under the crushing bureaucracy of hospital management.